As the first of the two most crucial days in the fast-moving saga of developments related to the Samajwadi Party dawned, signs of what lies beneath emerged at 6 am: party’s national general secretary Ram Gopal Yadav wrote a letter to all party legislators, throwing his weight behind Chief Minister Akhilesh Yadav in no uncertain terms. In a practice that implies putting all differences on to the public domain through social media and news groups, Ram Gopal Yadav wrote the letter, datelined Mumbai and prominently mentioned 6 am at the top right corner. 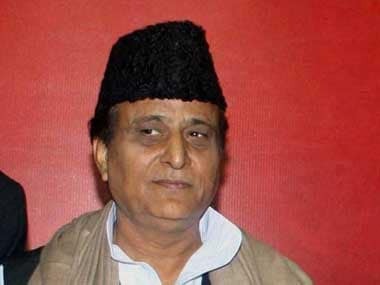 The letter did not name anyone, but said that "they" want Akhilesh Yadav to lose under all circumstances, whereas "we" want that a Samajwadi government should be formed in Uttar Pradesh under the leadership of Akhilesh. The letter went on to elaborate that "our approach is positive, theirs is negative. With the Chief Minister are people who have shed their blood for the party, faced insults whereas on the other side are those people who have earned thousands of crores of rupees, indulged in immoral acts and misused power. Some people indulge in mediation to fool the public and issue statements". The letter ends by saying, "There is no need to be misguided. The Rath Yatra is thorn in the opponents’ neck, we need to make it more sharp. Those opposing Akhilesh will not see the face of the Vidhan Sabha. Don’t be afraid, don’t be upset. Victory is where Akhilesh is". 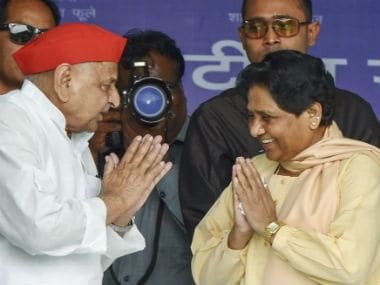 On a day when a meeting of all legislators has been convened by Akhilesh Yadav in Lucknow, the letter aims at appealing to most legislators to rally behind Akhilesh, indicating that he alone — or the faction of the party that he would lead — can ensure victory for the Samajwadi Party. The meeting has been convened at Akhilesh’s residence and it is expected that those supporting Akhilesh’s uncle Shivpal Yadav, may not attend the meeting. There are 228 MLAs and MLCs of Samajwadi Party in the state. Interestingly, party president Mulayam Singh Yadav has also called a meeting of party legislatures on Monday. A day earlier on Saturday, a member of the Legislative Council, Udayveer Singh, considered among the confidants of Akhilesh Yadav, was expelled from the party after he aired his views favouring Akhilesh. The action taken by the state party president Shivpal Singh Yadav was followed by the announcement of a new team to head the youth wings of the party. 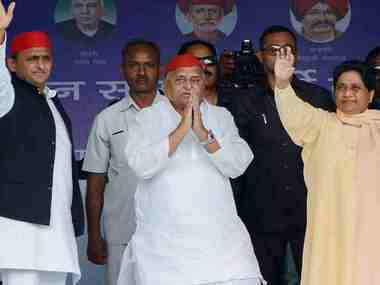 The previous team had been changed about a month ago in the wake of pro-Akhilesh and anti-Mulayam demonstrations held by youth wing leaders and supporters. Udayveer Singh had on Friday written a letter to party’s national president Mulayam Singh Yadav, levelling serious allegations against Shivpal Yadav and also against Mulayam’s wife, claiming that she was responsible for the problems within the family. Shivpal had addressed a meeting of the state executive comprising all district party presidents and other special invitees in Lucknow, at which he announced that only Akhilesh would be the Chief Minister, in case the Samajwadi Party won the 2017 Assembly election. Shivpal Yadav also said that he would be part of the Vikas Yatra planned by Akhilesh Yadav from 3 November, and asserted that there would be no compromise with party discipline. The action against Udayveer followed shortly afterwards. 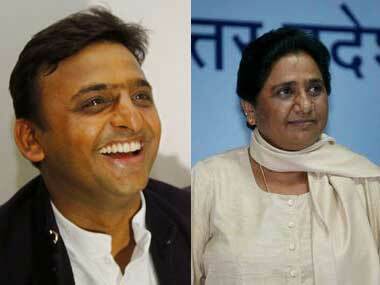 Later in the afternoon, senior SP leaders went to meet Akhilesh Yadav at his residence. These leaders included Mata Prasad Pandey, Beni Prasad Verma, Kiranmoy Nanda, Reoti Raman Singh, Naresh Agrawal and Aashu Malik. 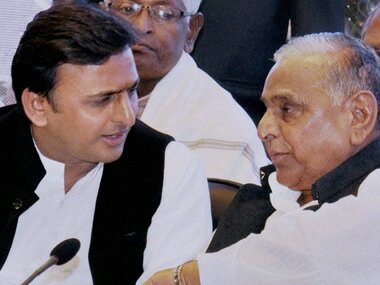 Incidentally, all these are considered close to Mulayam Singh Yadav and although none of them talked to the media either before or after the meeting, it is learnt that the meeting was a part of the effort to bridge the differences between father and son over several issues.